3 Bedroom Detached Bungalow For Sale in Seaton for £215,000. For sale by Public Auction on the 25th April 2019 at Countrywide Property Auctions South West. 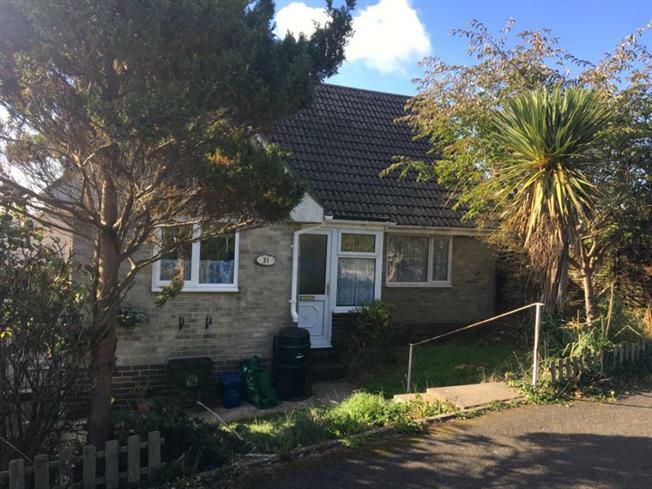 A three bedroom detached dormer bungalow requiring modernisation, set on the rural fringes of the popular seaside town of Seaton. The property enjoys a corner plot position with the benefit of an integral garage to the rear and views over the townscape to the headlands, estuary and sea beyond. Ground floor, entrance porch, hallway, kitchen with sun room off and giving access to the front and rear gardens and integral garage, lounge / diner, bedroom three and cloakroom. First floor, landing, two dual aspect bedrooms and bathroom. Outside, front, side and rear gardens being mainly laid to lawn with a patio seating area, garden and potting sheds, integral garage accessed via a shared rear driveway. Location - Seaton is a popular seaside town situated on the Jurassic Coastline offering a range of day to day shopping and leisure facilities, supermarkets and educational facilities, with circa 1 mile of shingle beach, cliff top walks and a tram service to the nearby villages. Viewing strictly by appointment only with Fulfords Seaton 01297n 24224. General enquiries Countrywide Property Auctions 01395 275691.